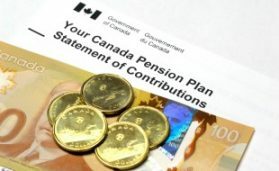 Over the next 7 years starting in 2019 you will notice an increase in the CPP and QPP contributions. This time frame will allow employees and employers to have time to adjust to the changes. These enhancements are to increase the retirement, disability, and survivor pensions that you may receive. How much will depend on your pensionable earnings, period of contributions and age of commencement of your benefits. Here we outline the changes to the CPP program only as THOMAS do not contribute to the QPP. All employees over the age of 18 contribute to CPP based on annual earnings from $3,500 to the annual earnings limit, which in 2018 was $55,900. The contribution rate was 4.95% of your earnings which was matched by the employer. In 2024 employees will begin contributing 4% on an additional range of earnings that is beyond the basic annual earnings limit. Therefore, if you earn more, you will contribute more to your CPP benefits in the future. The enhanced CPP contribution and well as the additional 4% will each be 100% matched by your employer. To help offset the in increase to the CPP contributions, employees will receive a tax deduction for those contributions when filing their personal tax return. Lower income earners could also be entitled to benefits under the new Canada Workers Benefit. There is no action needed from the employee the payroll department will calculate your CPP contributions from your pensionable earnings using these increased rates.